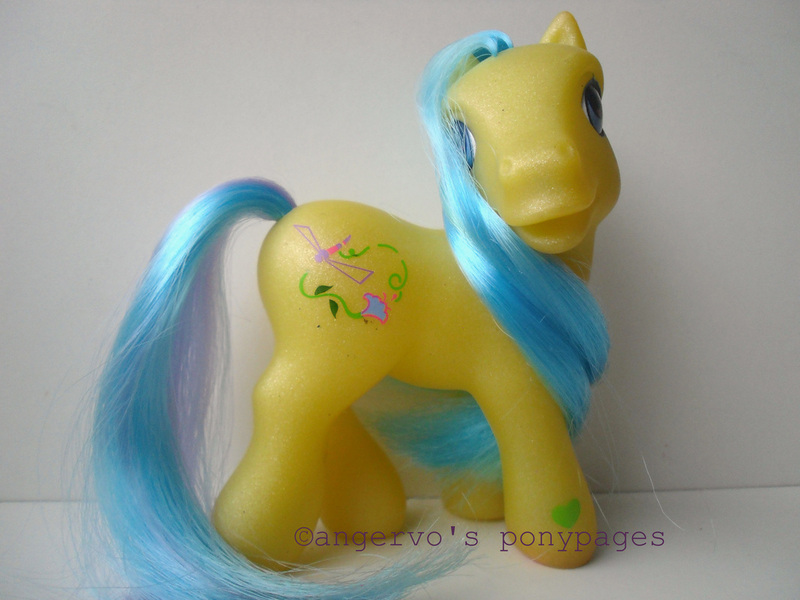 This pony released with Cotton Candy Cafe Value Pack with three other ponies. None of them had magnets. China. 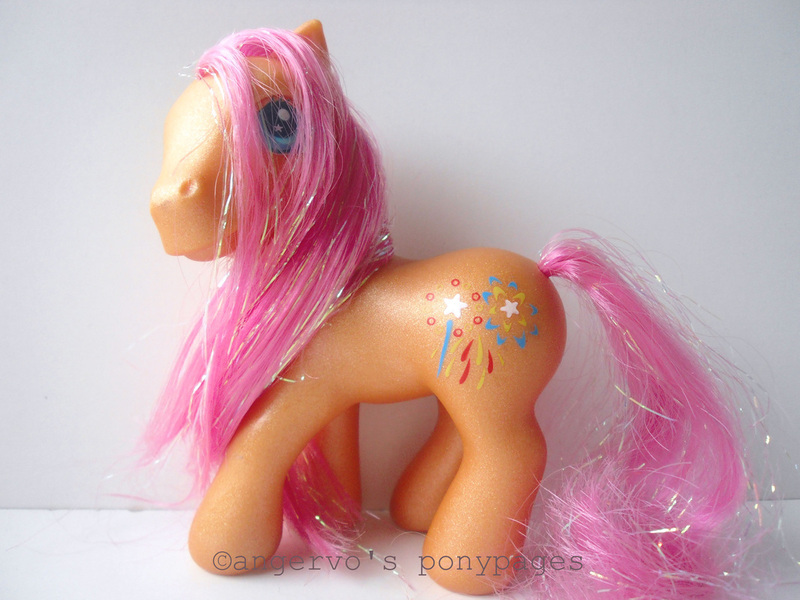 Glitter Celebration Ponies 2003. China. Bonus Ponies (Cotton Candy's Cafe Value Pack) 2008, but similar than Season Pony 2003. China. 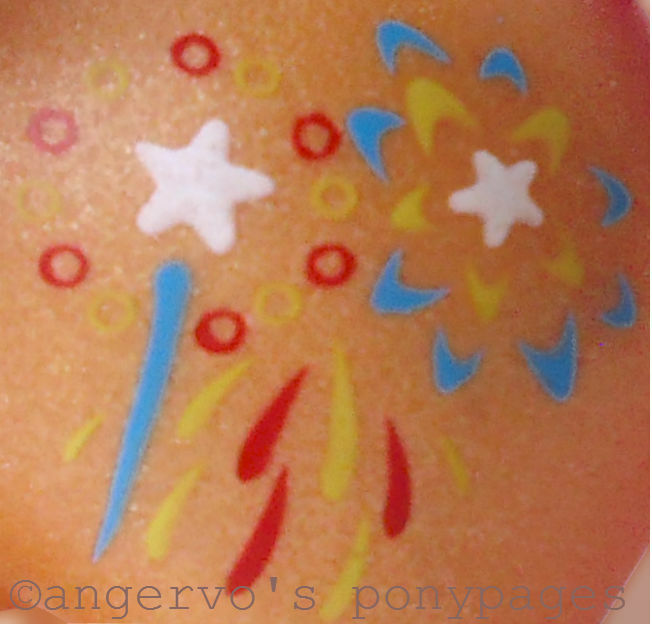 Accessory Playset Ponies (Moonlight Celebration) 2003. China. 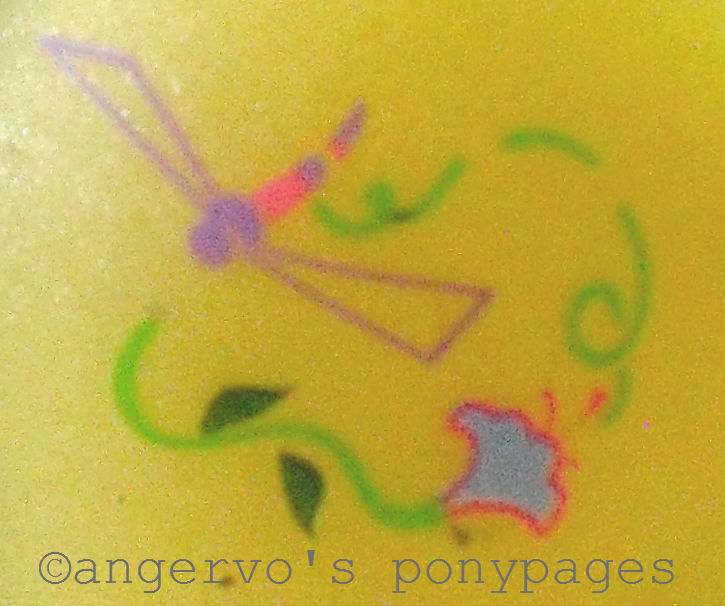 Accessory Playset Ponies (Picnic Celebration) 2003. China. 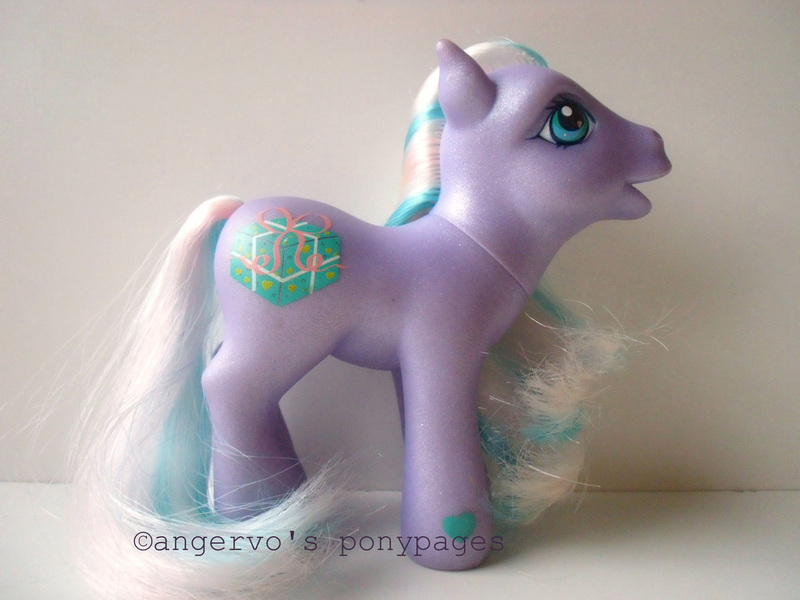 Accessory Playset Pony Packs 2003. She has a magnet in her foot. 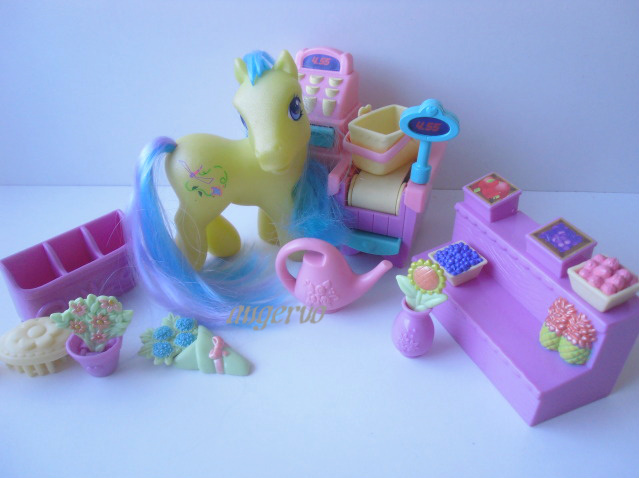 Playset Ponies (Cotton Candy's Cafe Value Pack) 2008. China. 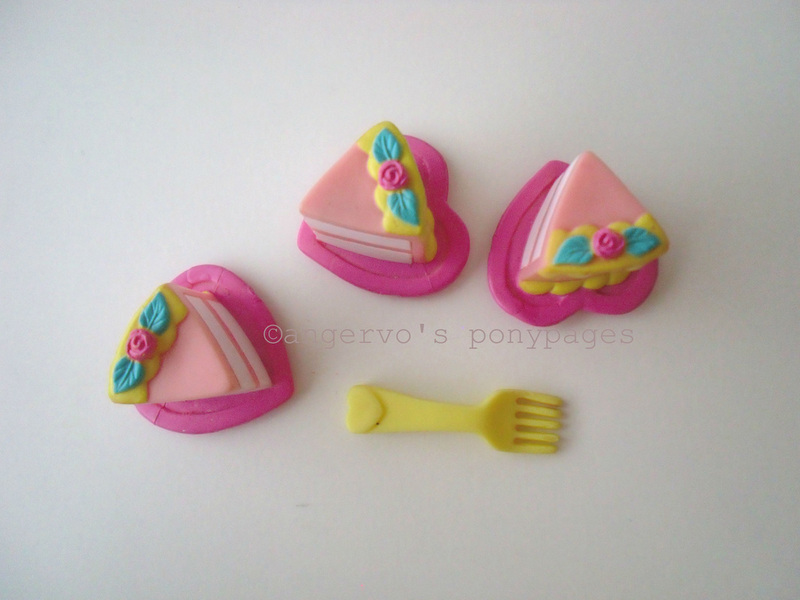 Bonus Ponies (Cotton Candy's Cafe Value Pack) 2008. She's almost similar than the original from 2003. Check the comparison here. 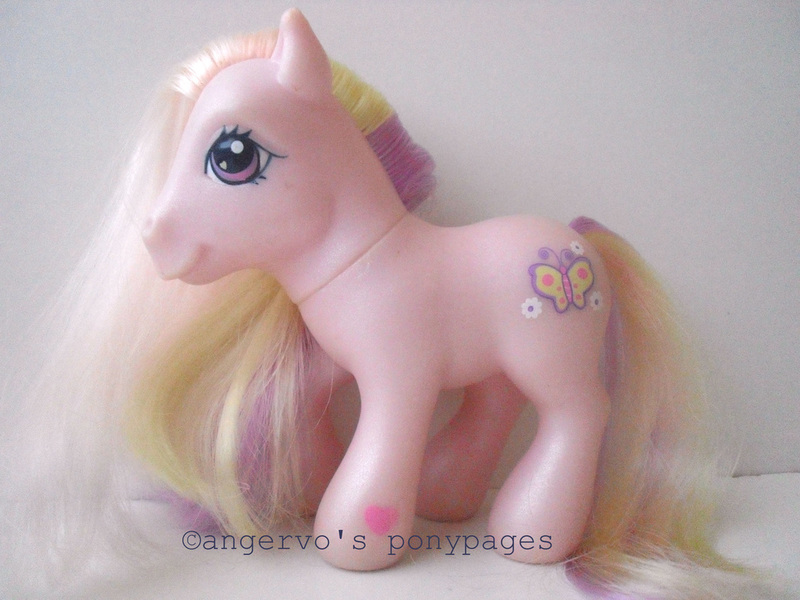 Playset Ponies (Celebration Castle) 2003.